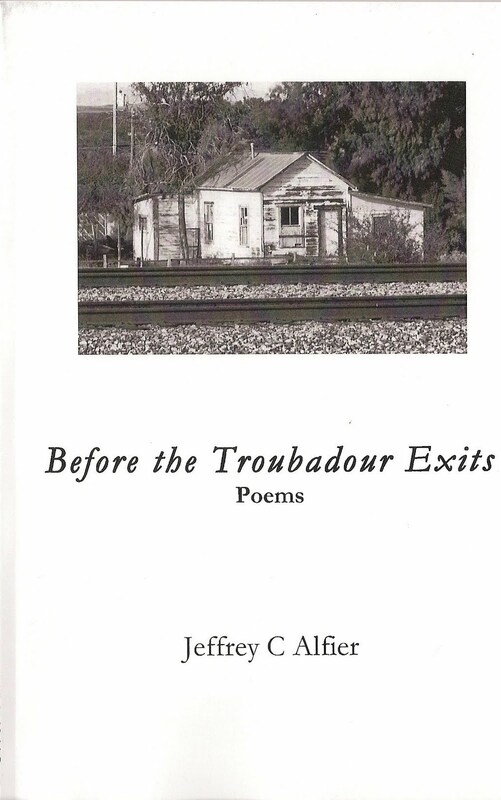 In Jeffrey Alfier’s latest collection, "Before the Troubadour Exits", hawks survey a desolate landscape where solitary people play hide and seek with their own identity. The unforgiving desert, with its cloak of dust and haze, alternates between camouflaging and revealing the quiet souls who drive its empty roads. Using the sparest of prose, with close attention to the concrete visual elements, Alfier creates a vision that is stark and punishing while remaining moody and somehow dreamlike. While the drinks served to the locals may be watered down, the poems remain concentrated and tight. Like both jokers shuffled into your deck. Return to friends. No one breaks your heart here. Welcomes may be shaky but seldom worse. Even makes Jesus yank his hair out…. Frisk him hard for loneliness. The poems are stories that hint of soft hearts hidden behind layers of scar tissue-tough guys that still want to play make-believe, if only till the bar closes. There's not many words depicting emotion, yet the absence itself implies a strong sense of feeling, bottled up perhaps, like in the bottles that line the bar. 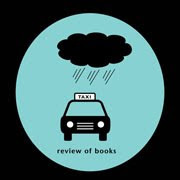 Special thanks to Kindred Spirits Press for the Review Copy. It can be purchased at www.sprreview.com.